Solar panels work by allowing photons to knock an electron free from its host atom. The continuous flow of photons correlates to a continuous flow of electricity. Photovoltaic cells are created with two blends of silicon. The top layer (the layer that is facing the sun), is silicon doped with phosphorous thus giving that side extra electrons (P) and the bottom layer is doped with boron which results in a lower number of electrons (N). This results in an unbalance of electrons on both sides. When the photon strikes the P side, it knocks one of the electrons free and it jumps the gap to fill in one of the holes on the N side. 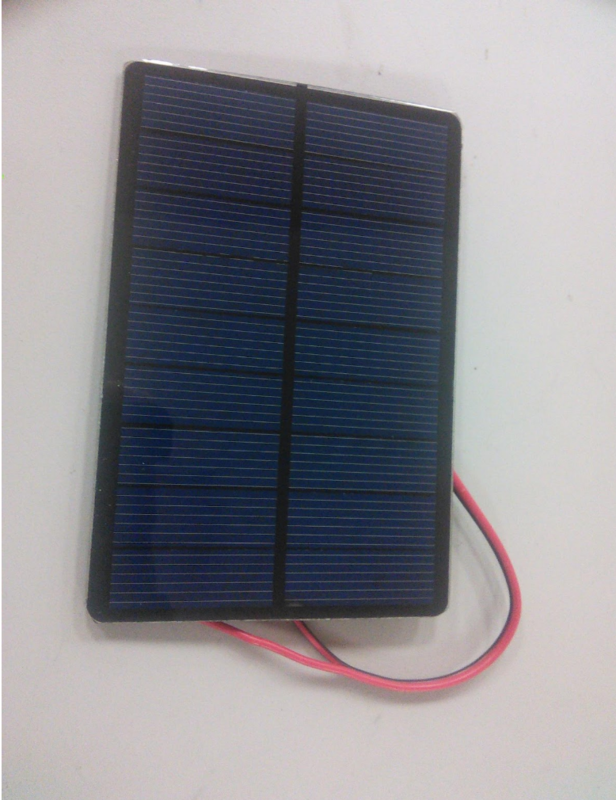 If we attach wires to both sides of the solar cell, then current will flow. This is a solar cell. Front and back. The red wire is positive and the black is negative. 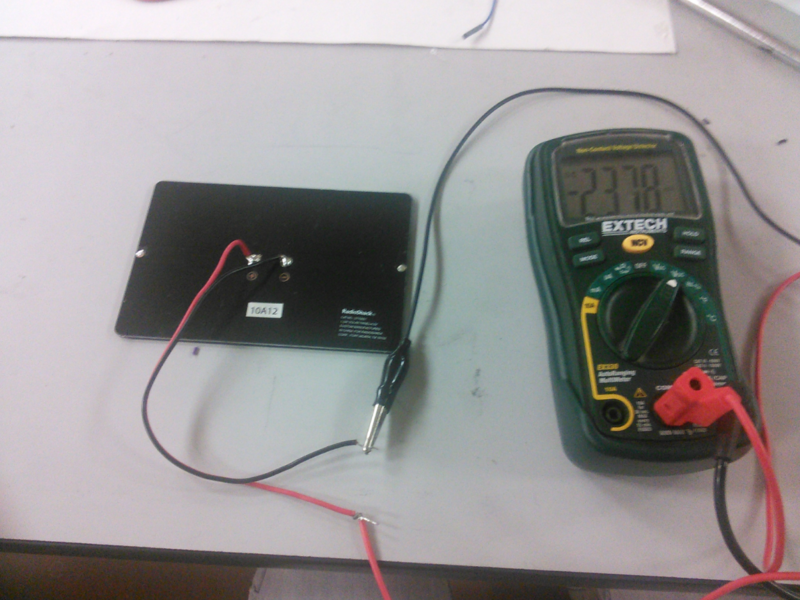 Attach the negative to ground and the positive to the Vin terminal on the multimeter. 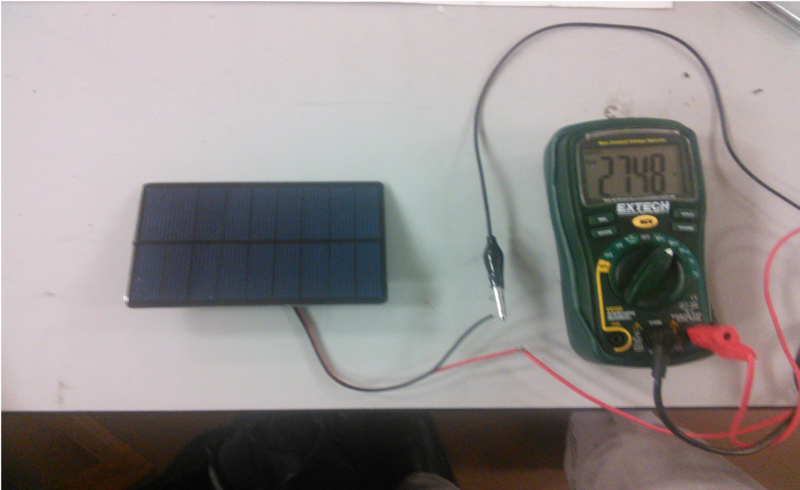 Right now the solar panel is receiving a minute amount of light, so it is producing 240 mV, but when you flip the panel around, you get much more. Now we are getting 2.7 volts. 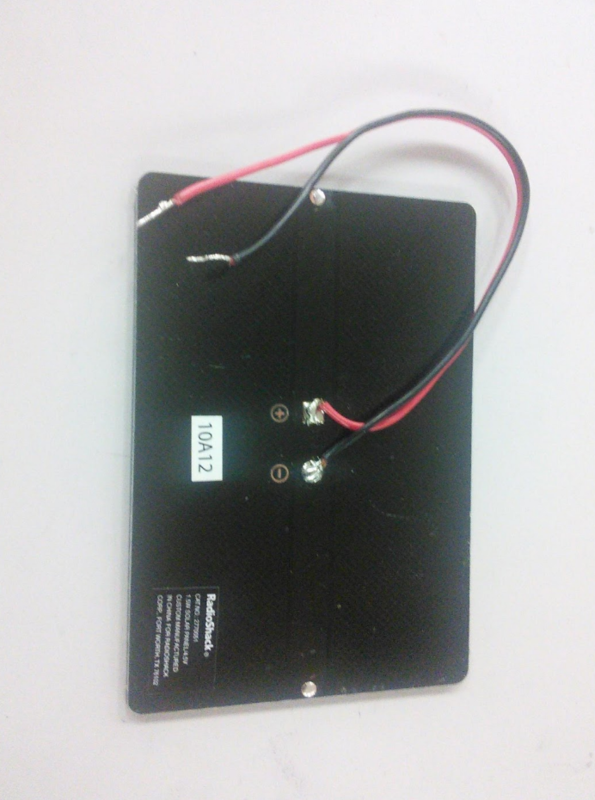 This panel can produce 4.5 volts at 1 watt, but I am inside using low intensity lights. Go outside, and it will be a different story. There are no moving parts other than the electrons, so solar panels can last for a very long time. You could use them as replacements for batteries for a project. Or you could use them as a sensor to trigger an alarm clock. If you string enough of them together, they could power your house or car. They are simple to use and fun to mess around with. Keep trying new things and good luck.